This quilt was my final finish of 2015. I cut, pieced, and had this thing sent for quilting in just under a month! The fabric I used is a Layer Cake of Get a Clue Nancy Drew for Moda Fabrics. It is out of print and I am so glad that I snatched this up on Ebay when I did! My mom has been collecting Nancy Drew books for years, so I just had to make her a quilt with this fabric. This quilt was my Mom's Christmas gift this year, and she had no idea that she was going to be getting it! I love surprises! The pattern is Framed by Camille Roskelley, it can be found in her book Simply Retro. I adore all of the patterns in that book, and one of my 2016 goals is to make every quilt in it. The quilting on this was done by Sarah at Crinklelove. Her turnaround time is FAST! I sent this quilt to her the week after Thanksgiving, and it was back to me by December 21st! I had her quilt it in an all over Books design, and I think it turned out just perfect for this quilt. One of the things I love most about quilting is giving them to the people that I love most! So far I have made 2 quilts for my Dad, 1 for my Mom, 1 for my Sister, and 1 for my Nephew. I still have a bunch on my to-do list so that everyone can have one someday! Last but not least is a video of my mom opening her quilt on Christmas! I loved seeing the look on her face when she saw what it was, and of course William helping her open it. After much behind the scene planning and preparation, it is exciting to announce that Linden from Vine Lines Quilting and Crystal from Raspberry Spool are partnering up to deliver Project 48. Project 48 is designed to be an epic year long quilt sampler, with four 9” blocks delivered each month in 2016. Each month will focus on a different theme, where Linden will create a traditional style block and Crystal a modern interpretation along with two guest versions. The series will be offered free of charge in 2016 to all those who sign up with their email address. Each week, subscribers will receive an email with the instructions to the block and information on the guest contributors including contact information and many more tips, tricks and extra tid-bits along the way. Sign up before 31 December 2015 and become a VIP member to Project 48. As a VIP member, you can expect some early sneak peeks and an exclusive ebook for preparing for your sampler. 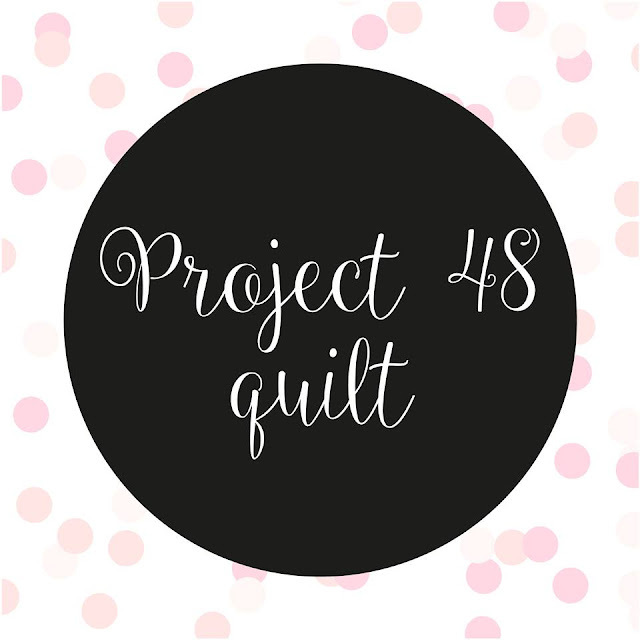 Membership to Project 48 is free, all you need to do is click HERE to register. Best of all, you will receive an email every week letting you know when the next block is ready! Its going to be amazing. 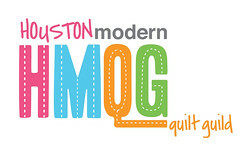 I am really looking forward to being a part of this amazing group of quilters! Are you in? Back in June I finished a quilt for my dad, but I never got around to taking pictures of it before I gave it to him. Thankfully my amazing husband gave me a new camera for Christmas, and I was able to get pictures of my dad's quilt while we were in Austin for Christmas. The name of the pattern is Modern Buzz Saw and it is from the book Fabulously Fast Quilts by Amy Smart. The book is fantastic, and is filled with 12 patterns that all come together really quickly using pre-cuts or yardage. I knew this pattern would be perfect for my dad because he owns his own construction company, and has a garage full of tools. Plus he's had his fair share of run-ins with a buzz saw... What I loved about this pattern is that it looks very complicated, but it actually came together quickly and easily. The fabrics I used were from a fat-quarter bundle of Hammer and Nails by Peter Horjus that I found on Hawthorne Threads. Then the background fabrics I used were Essex Yarn Dyed Linen in flax and olive. Thanks to my amazing Janome 8900, I was able to get this twin sized sucker quilted in just a couple days. I probably could have gotten it done faster but my family needed to be fed lol. I quilted it in an all over stipple with lovely 40wt Light Khaki Green Aurifil thread, number 2900. I love how the quilting disappears into the olive colored Essex Yarn Dyed fabric. My backing for this quilt was this amazing print from the Hammer and Nails fabric line. Aren't those emblems just amazing?! I love the retro feeling they have, and I didn't want to be distracted from their beauty with a seam down the middle. So I decided to match the design so that I could hide the seam. What I love most about this quilt is how much my dad loves it. His mom was a quilter, and he always tells me how proud she would be of me if she was alive today. #ad Need a last minute, affordable gift for the holidays? 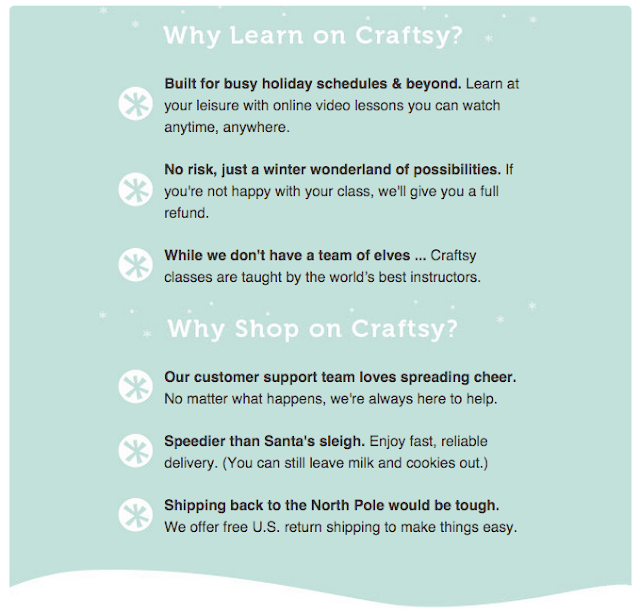 Craftsy offers online classes in a variety of hobbies. Give the gift of learning this season with a Craftsy class that you can watch anytime, anywhere. 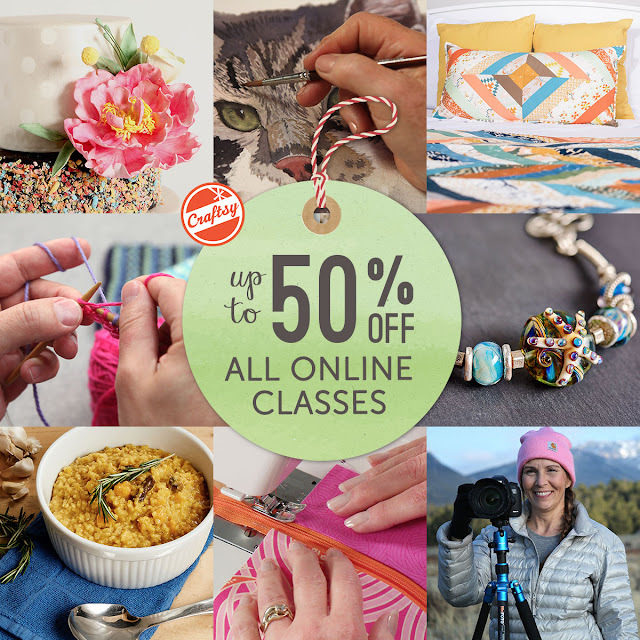 All classes are discounted through Saturday, so shop now! I have enrolled in 16 Craftsy classes over the past few years and I love them. The very first class I enrolled in was the Block of the Month Class taught by Amy Gibson of Stichery Dickory Dock . 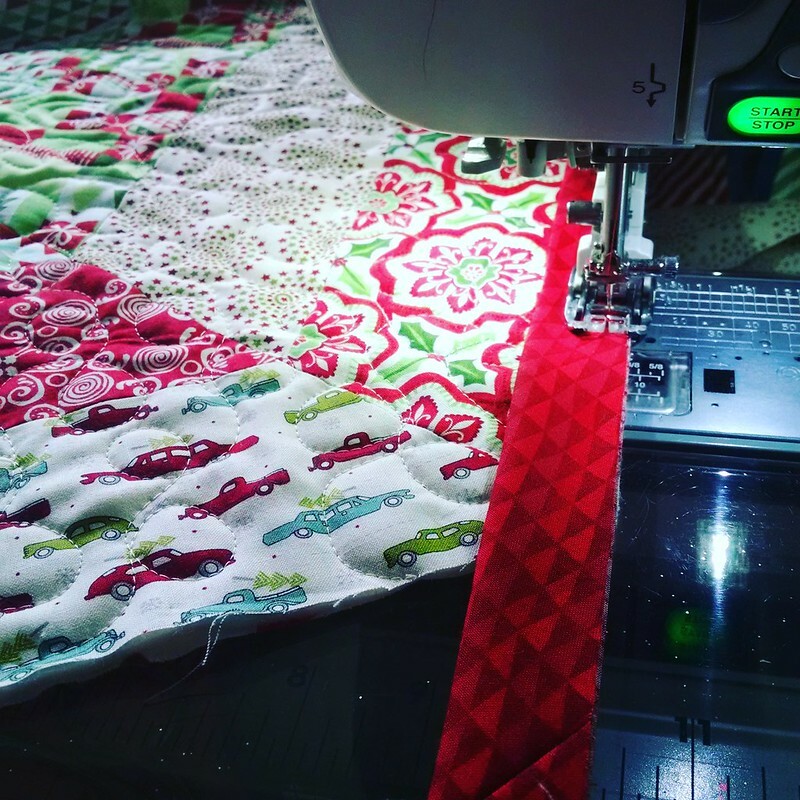 It was the class that taught me how to quilt, and the class that got me hooked on quilting! For the past few years we have been using a 4 foot tree that Jeff and I have had since before William was born. It is super cute and small, BUT... This year is the first year that we have decided to have a full sized 7ft. tall Christmas tree!!! 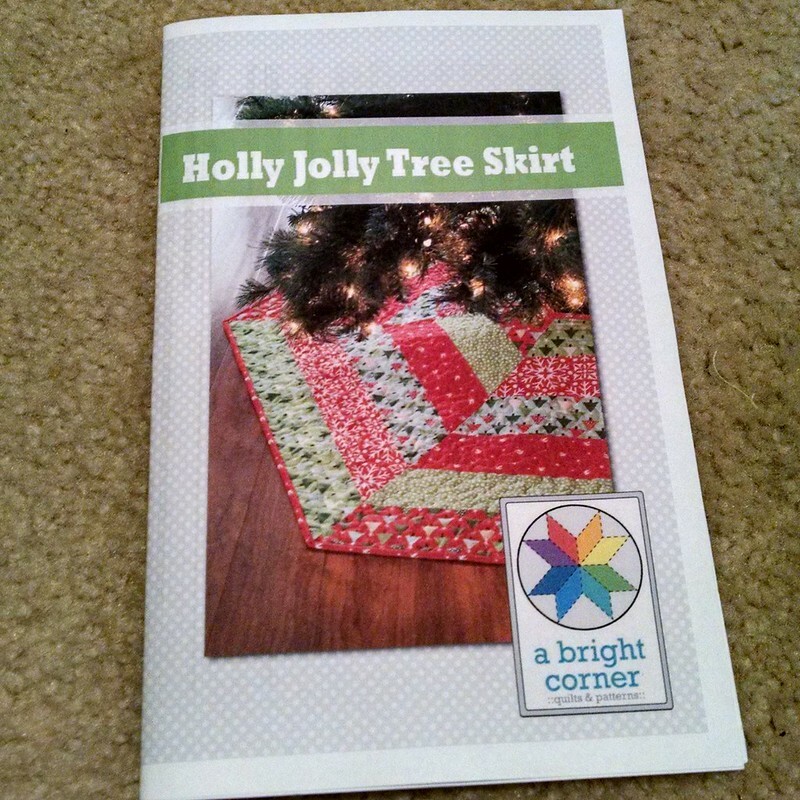 I knew I wanted to make a Tree Skirt, and I have had the Holly Jolly Tree Skirt by A Bright Corner in my pattern basket for a little while now. 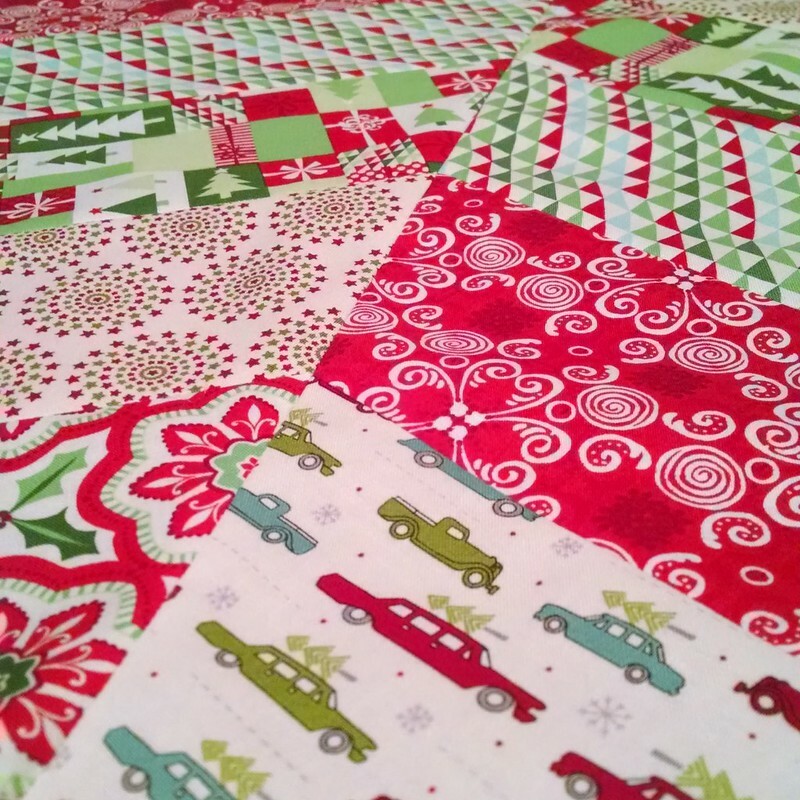 So over Thanksgiving weekend I headed out to my absolute favorite local quilt shop, and picked up some Christmas fabric that they had on sale for Black Friday. 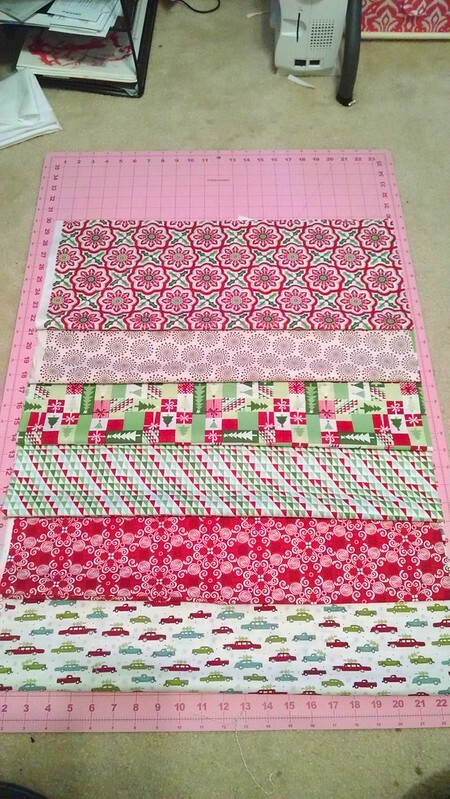 I used 3 prints from Jingle by Kate Spain, 2 prints from Holly's Tree Farm by Sweetwater, and 1 print was a half yard I had in my stash. The pattern is very straight forward and easy to understand, and I was able to get the sections cut out and pieced together in one evening. 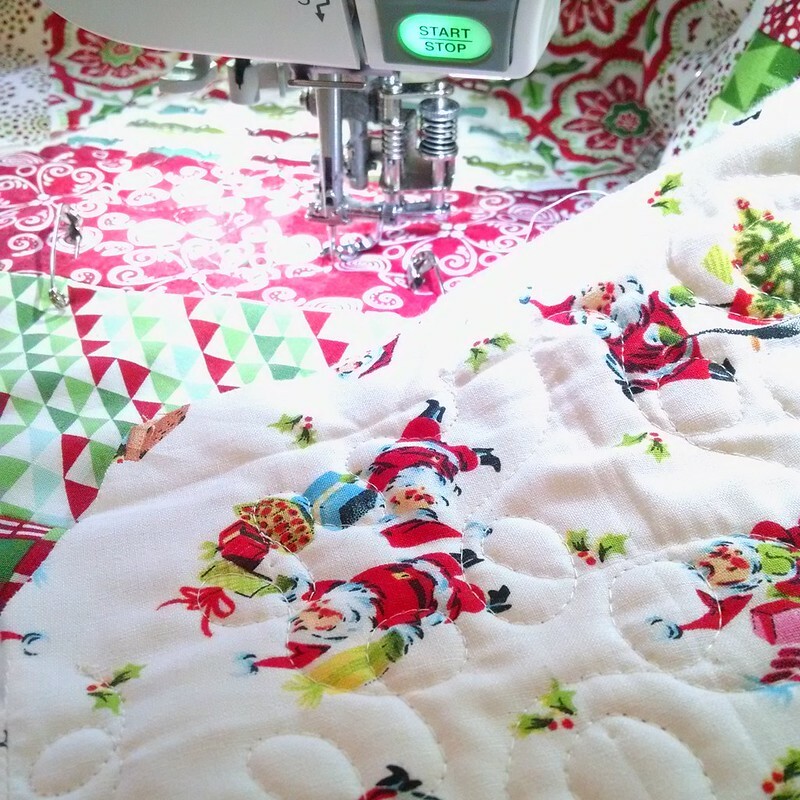 I used this adorable Santa fabric from Joann's for the backing, and I made sure that the seam from where I pieced it was towards the back. That way I could flip it over and use either side if I wanted to. Like always, I quilted with Aurifil thread in an all over loopy pattern. This "quilt" is only the 3rd or 4th one I have done on my new Janome 8900, and I fall in love with my machine more and more every time! Because of all the angles on this hexagon quilt, I made bias binding using another print from Jingle by Kate Spain. I machine stitched it to the front, then hand sewed it to the back. I adore how this turned out and I love how festive it looks under the tree. 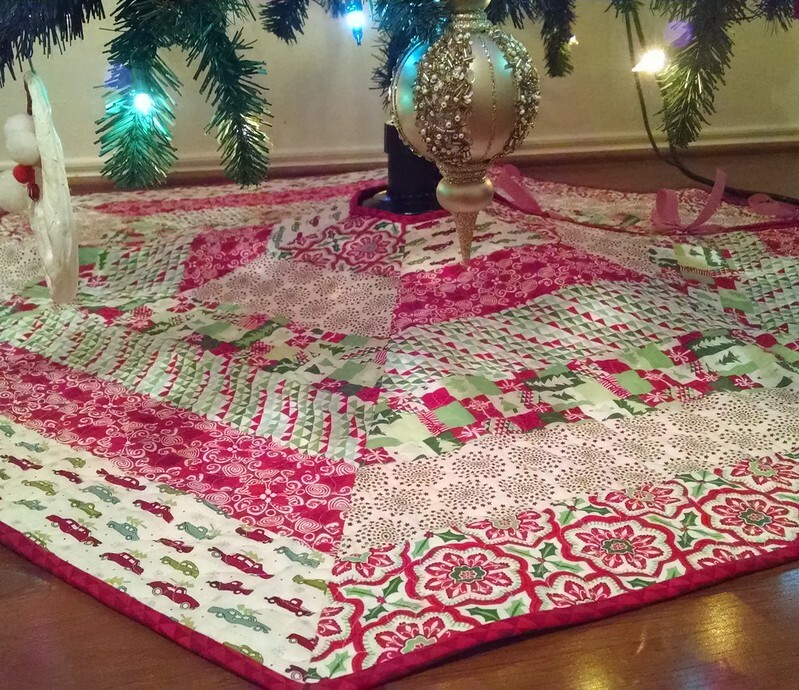 I also love that it is not a traditional circle tree skirt. Here is the tree and everything looking super festive! Whenever my blogging gets sparse, then you can always find me on Instagram for daily updates on what I am working on.